Jamie is an alumnus of the Pardes Year Program (’99) and the Pardes Educators Program (’04-’06). He is a Jewish Educator and licensed Israel tour guide. Jamie earned his BA in Modern History from Oxford University and his MA in Jewish Education from Hebrew University. Jamie works in many different Jewish educational arenas. In recent years he has taught in a Jewish school in America, guided British Members of Parliament on their trip to Israel and lectured in England on the most recent archaeological discoveries in the City of David. Before joining Pardes Jamie was the educational director for the Ministry of Tourism’s tour guide course at the Yad Ben Zvi Institute. 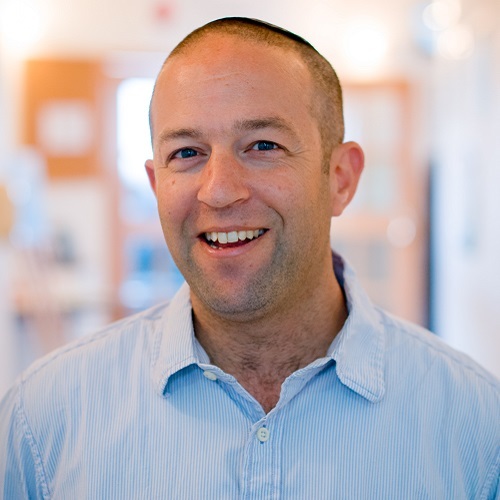 He is a regular guide and educator in Israel for Pardes, the Nachshon Project, JCCA professionals, and others. Jamie and his family live in Jerusalem.